Desert Peaks Golf Course is “Where High Desert beauty always plays through.” Located just north of Madras, about a one-hour drive from Bend, Desert Peaks is open to the public and welcomes golfers of all ages and abilities. 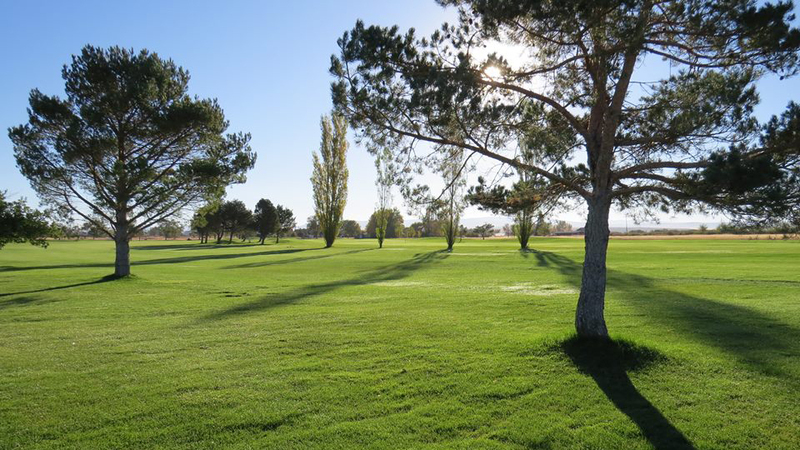 The nine-hole course operates year-round, weather permitting, and is the perfect place to play when you don’t have time for a full 18 but want to get in some time on the course while you enjoy Central Oregon’s fresh air and unspoiled wide-open spaces. While the course is family oriented, all golfers will be challenged at each tee, not to mention inspired by the stunning natural surroundings. Pick up some new gear at the pro shop, unwind in the clubhouse, and warm up or perfect your swing on the putting green. Desert Peaks organizes yearly tournaments for small groups, class reunions, and families; the perfect way to build camaraderie and spend time together. Visit their web site to schedule a tee time, register for a tournament, and check up on tournament results.